Jim Corbett National Park, gateway to wildlife heaven. Jim Corbett National Park is a dream destination of every wildlife enthusiast, both for it's flora and fauna. The misty mornings of Jim Corbett are the dream setting desired by every photographer, who wants to capture the splendid beauty of nature in his camera. Jim Corbett National Park is home to many exotic species Tigers, Leopards, Elephants, Jackals are a few to name. Jim Corbett also boasts about a population of more then 500 species of birds too. The vegetation is is rich too, but why is it named Jim Corbett National Park? Jim Corbett National Park is named after famous hunter turned conservationist Sir Edward James Corbett. Jim Corbett was a Colonel in the British Indian Army. James or popularly known as Jim Corbett, was born on 25th July 1875 in Nainital of present Uttarakhand state. Born in a rather big family of 16 kids, he was the 8th child. His father Christopher William Corbett was the postmaster of the town of Nainital. His mother Mary Jane was a well known figure in the European settlers circle. The Corbett family used to live in Chhotti Haldwani in the foothills or Kaladhungi as it is known nowadays, during the winters . It is here where Jim Corbett started taking interest in the wild. Jim Corbett was fascinated with jungles from the very beginning. In his Kaladhungi home he used to spend a lot of time in the surrounding forests. Jim Corbett did his schooling from Oak openings school, now named Birla Vidya Mandir. His first job was in Bengal and North-Western railway as fuel inspector in Manakpur, Punjab. The first maneater Tiger ever shot by Jim Corbett was -''The Champawat Maneater''. This tiger killed more then 436 people according to official records. The first Leopard killed by Jim Corbett was Panar leopard. Though Jim Corbett was a famous shikari of his times, he put down his gun and bought a camera in 1920 taking inspiration from his friend F.W. Champion. He was worried about the dwindling population of Big Cats and turned into a conservationist finally. In the era when Shikar was rampant and was considered a sport, Jim Corbett felt the danger to Indian Wildlife and also warned about the result of the irreparable damage being done to the ecosystem. It was Jim Corbett who persuaded the government to establish The Hailey National Park named after Lord Malcolm Hailey, which was later named Jim Corbett National Park in 1957 in his honor. When the British left India Jim Corbett also shifted to Nyeri, Kenya. He chose a place close to nature even when he left India. Corbett spent rest of his life here till he left for heavenly abode. Corbett died shortly after writing his last book 'Tree Tops' and is buried in St.Peter's Angelican church in Nyeri. In 1968 the Indochinese tiger was named after Jim Corbett, 'Panthera Tigris Corbetti' , also known as Corbett's Tiger. A movie titled Man-eaters of Kumaon was also directed by director Byron Haskin based on the book by Jim Corbett, 'Man-eaters of Kumaon'. The movie was a big disappointment on the box office and did not match the real story, Jim Corbett even said , 'The best actor in the movie was the Tiger'. BBC produced a docudrama in 1986 by the name of 'Man-eaters of India' with Fredrick Trevis playing Jim Corbett. Another TV based movie was made in 2005 based on the worldwide famous book 'Man-eater of Rudraprayag' starring Jason Flemyng, which is still very popular. Jim Corbett received the Kaisar-i-Hind in 1928 and was made Companion of the Order of The Indian Empire in 1946. Jim Corbett or called Caarpet Sahab by the locals, was as Indian as any of us, he was well versed with the local dialect and was aware of the local customs too. He was loved by all and helped the locals get rid of many Man-eating Tigers and Leopards. 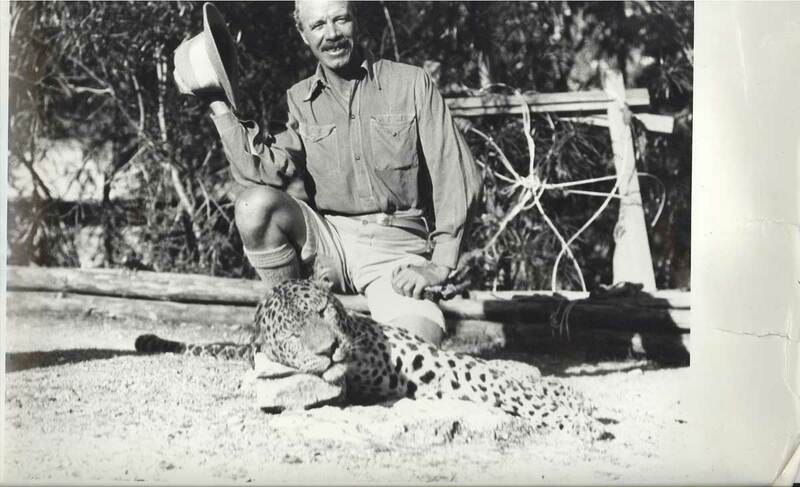 His legacy will go on the with Asia's first National Park, 'The Jim Corbett National Park'.